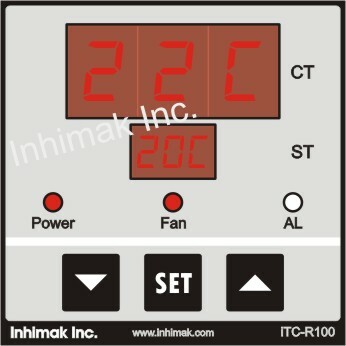 Temperature Controller iTC3L-13R Price in Pakistan - Cheap Rate of Temperature Controller iTC3L-13R Islamabad, Rawalpindi, Lahore, Karachi, Pakistan. | Inhimak Inc. Temperature interlock automatically starts kitchen hood exhaust fans and keeps them running while heat is being generated over the set temperature. Acting as back-up to manual control, interlock will override switch and start fans once heat is detected to ensure safety in case operator fails to turn on fans manually. Digital controller with LED display where user can set temperature as per his desire. Temperature Controller where you need precision and user friendly setting with a new global standard. Control performance is the best, easy to use, Illuminated visibility of iTC3L-13R Temperature Controller. Standard Housing where you can save space just 96 X 96 X 66 mm. *Free home delivery across the Pakistan.